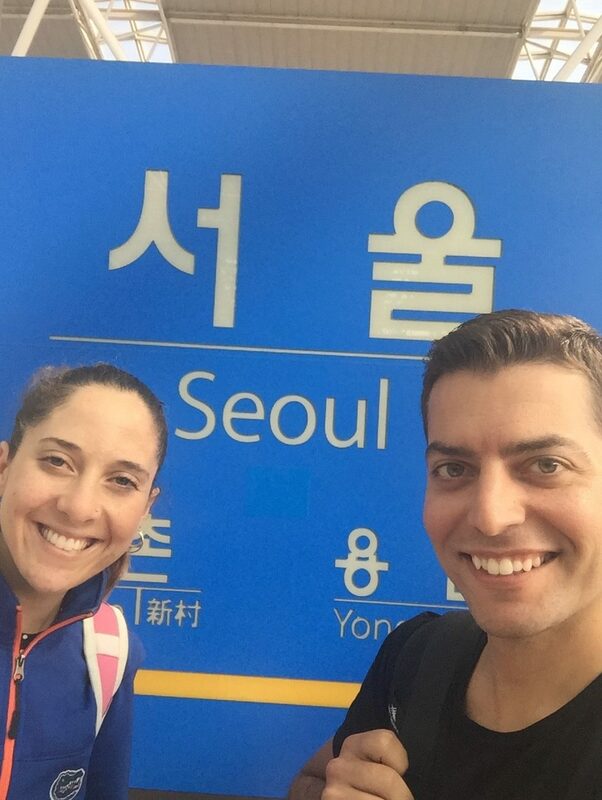 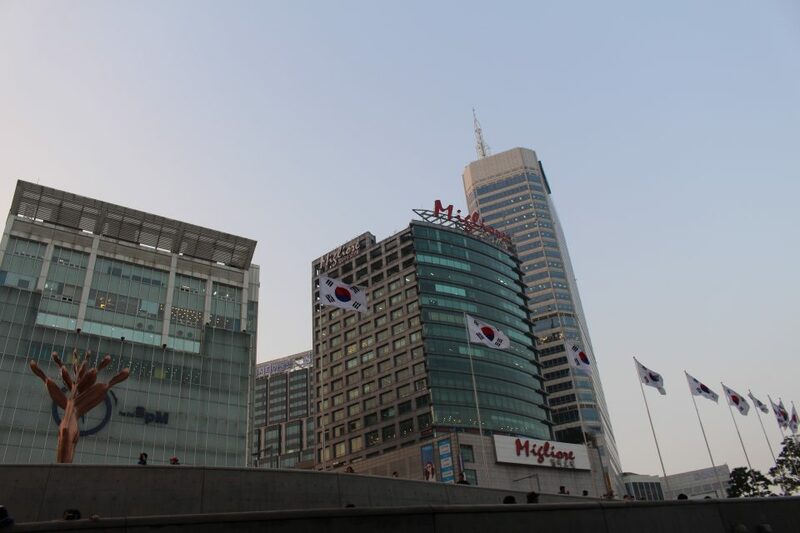 Our hotel is in the heart of downtown Seoul. 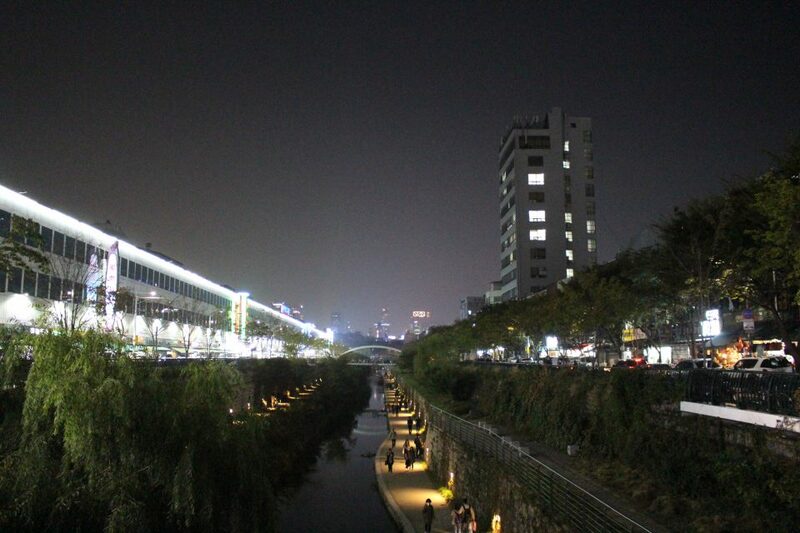 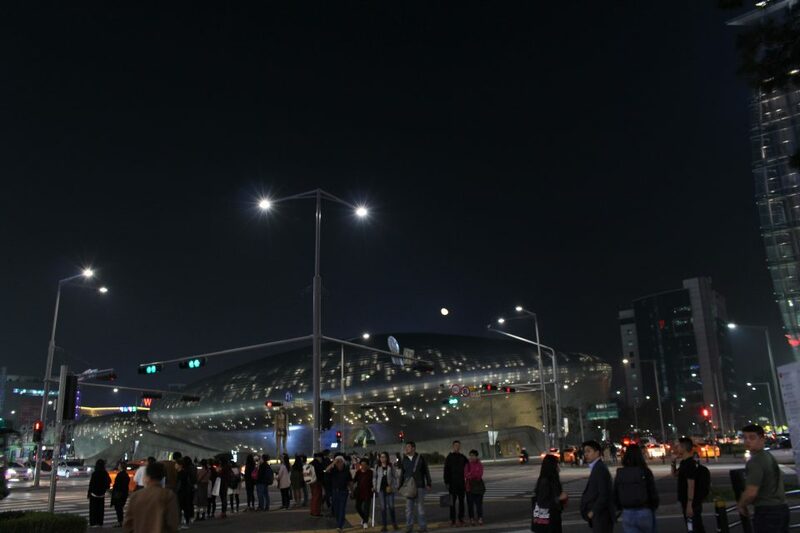 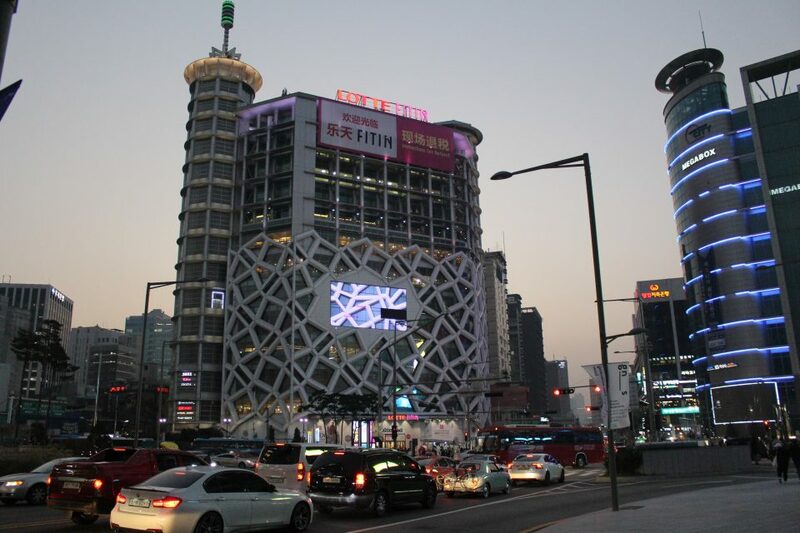 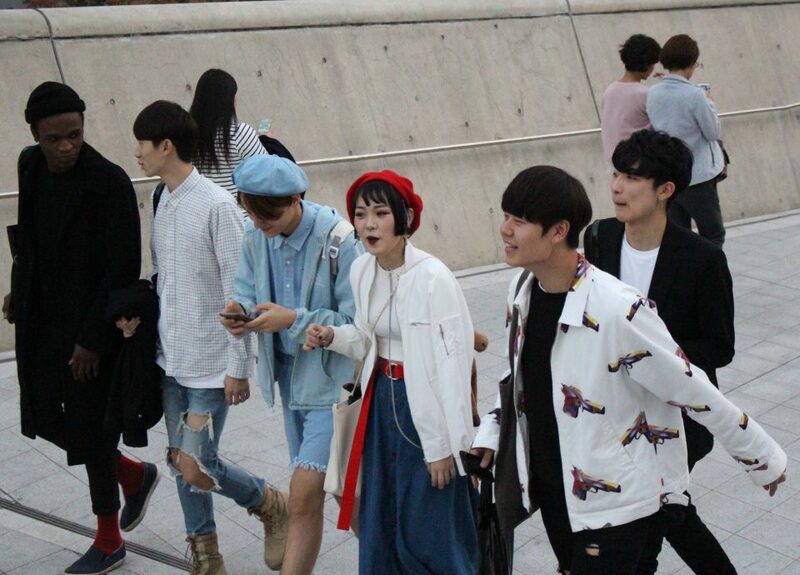 Not far from there is the fashion-crazed area of Dongdaemun. 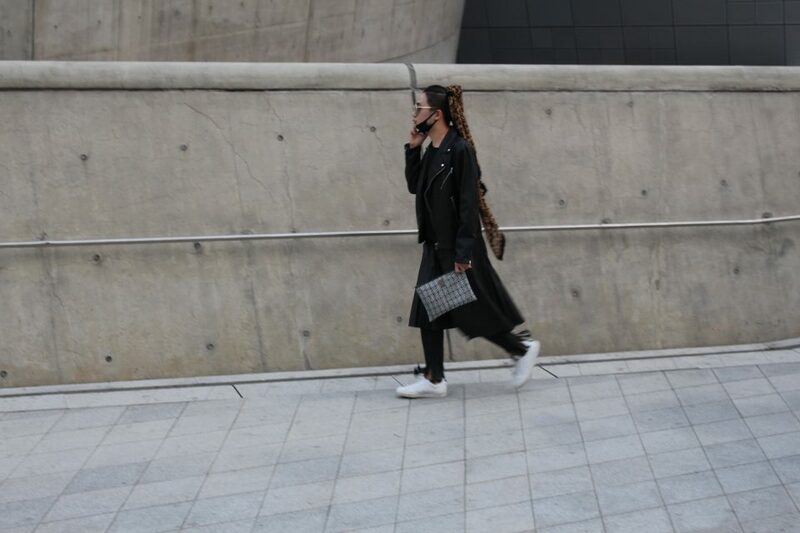 People wear the craziest stuff, as they have easy access to tons of clothing stores (many by young entrepreneurs) and the ability to buy clothes both day and night. 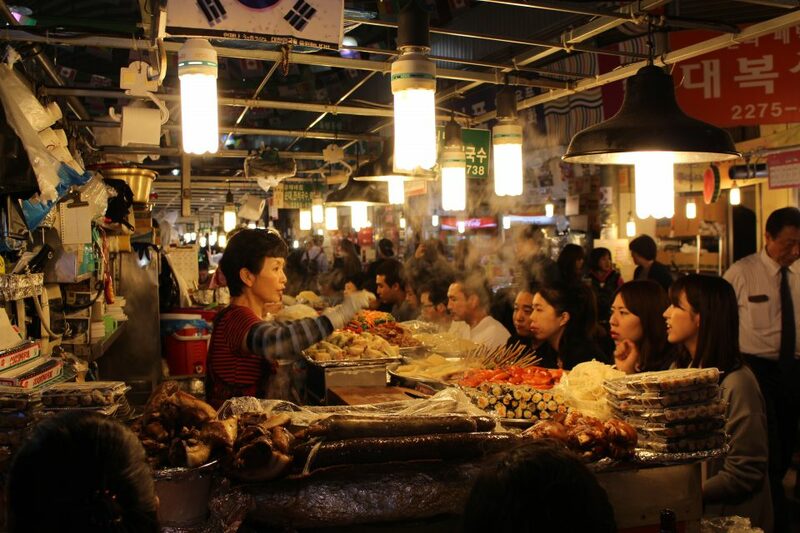 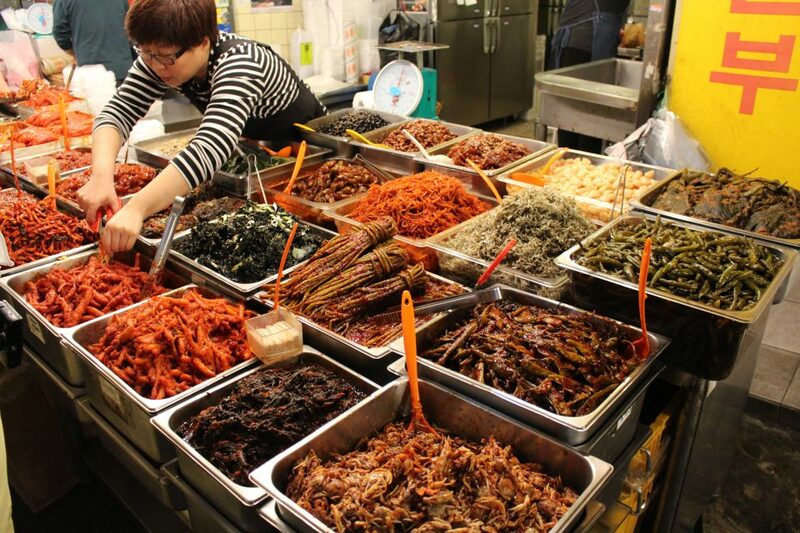 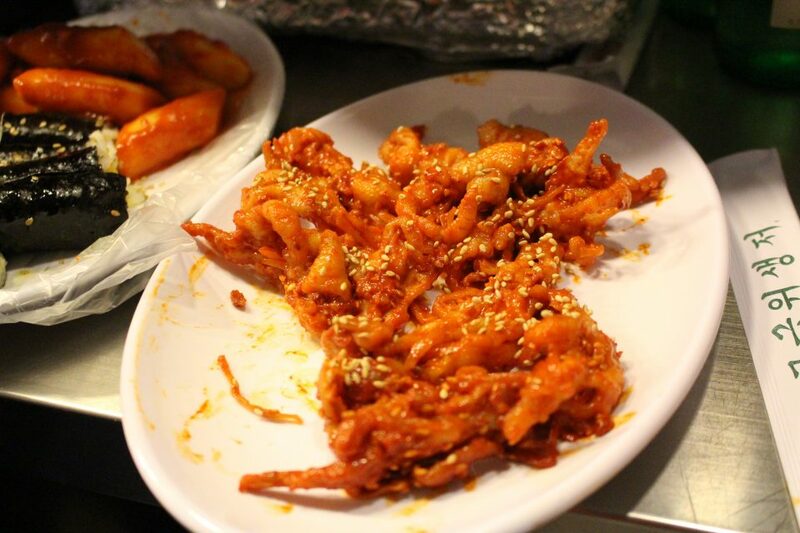 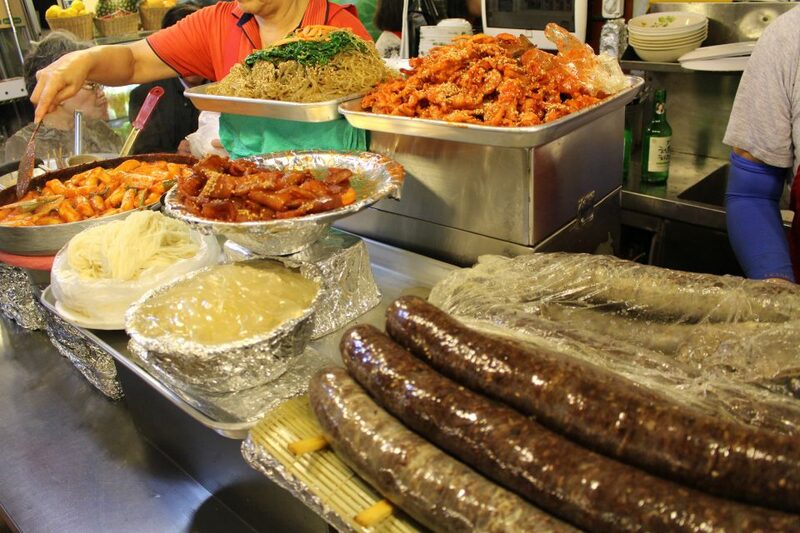 Wandering around this metropolis area, we eventually meander into Gwangjang market for a tasty bite to eat. 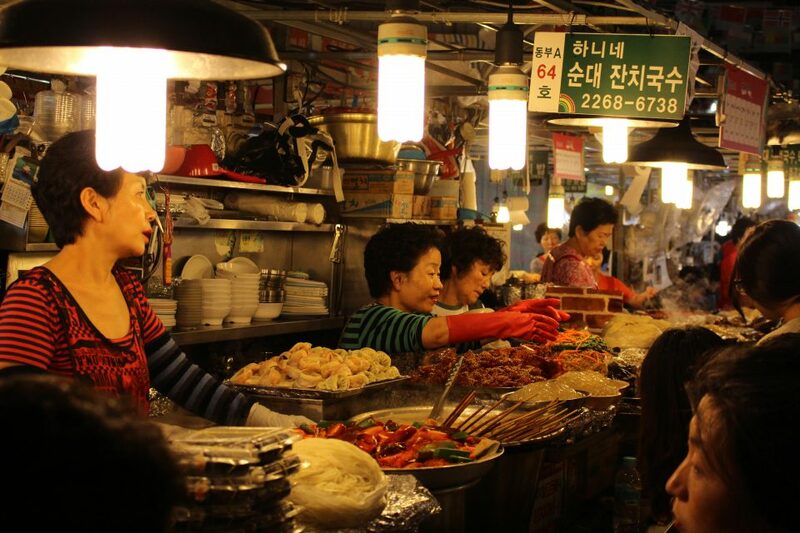 Hot street foods served mostly by elder ladies as far as the eye can see. 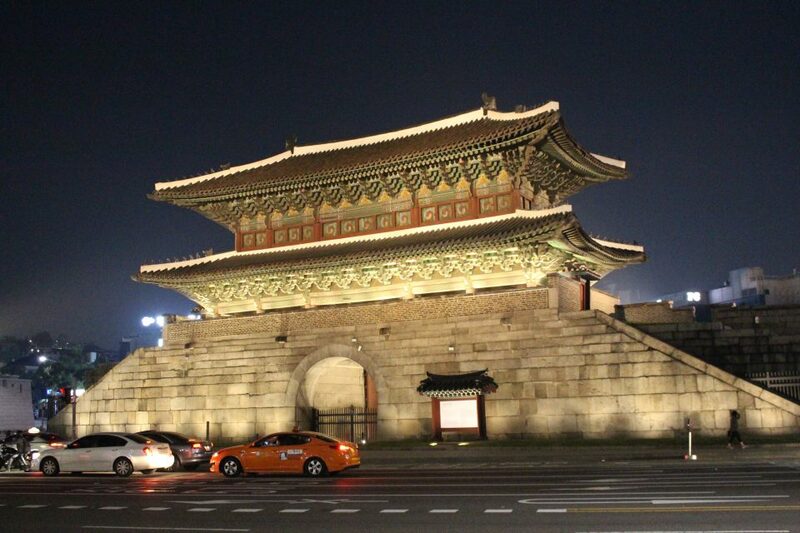 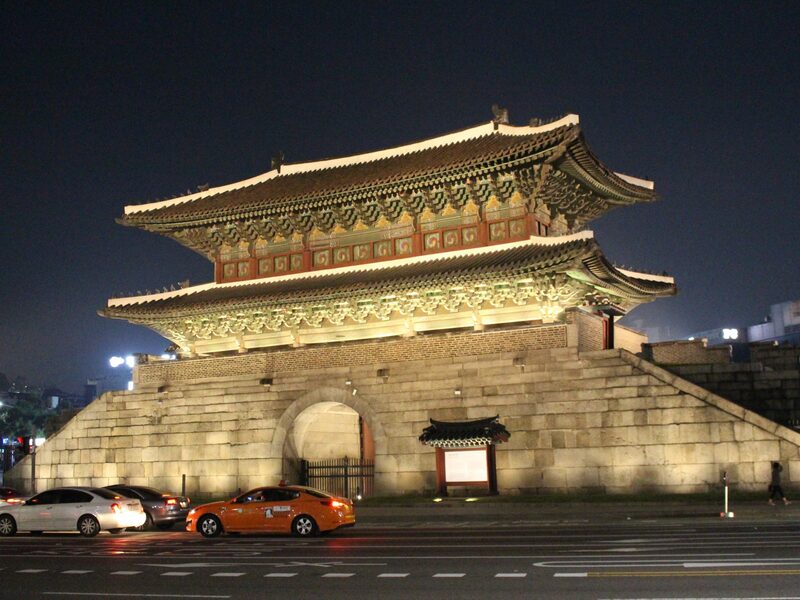 Just outside this market is one of Seoul’s iconic images: Heunginjimun Gate. 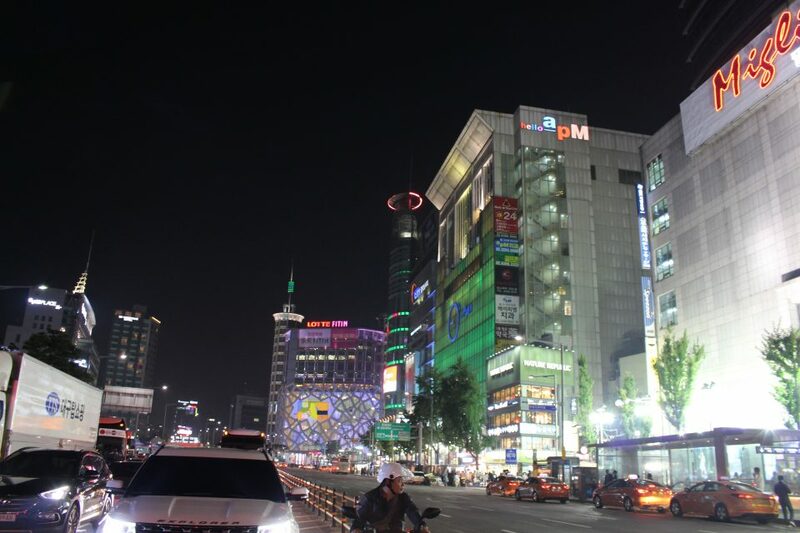 Just a couple blocks further is a giant nighttime marketplace for clothes. 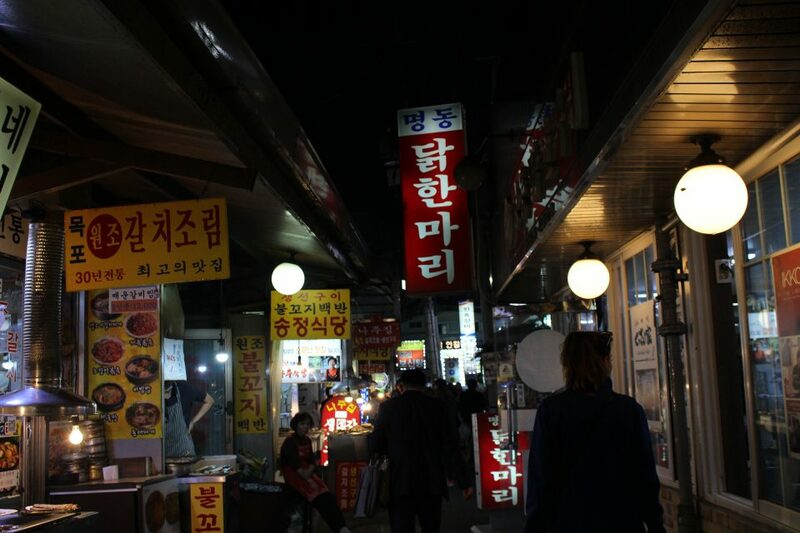 Men dash on custom motorcycles, moving from the streets onto the sidewalk, unload bags of clothes into these little stores as they carry the bags like refrigerators on their backs using special harnesses. 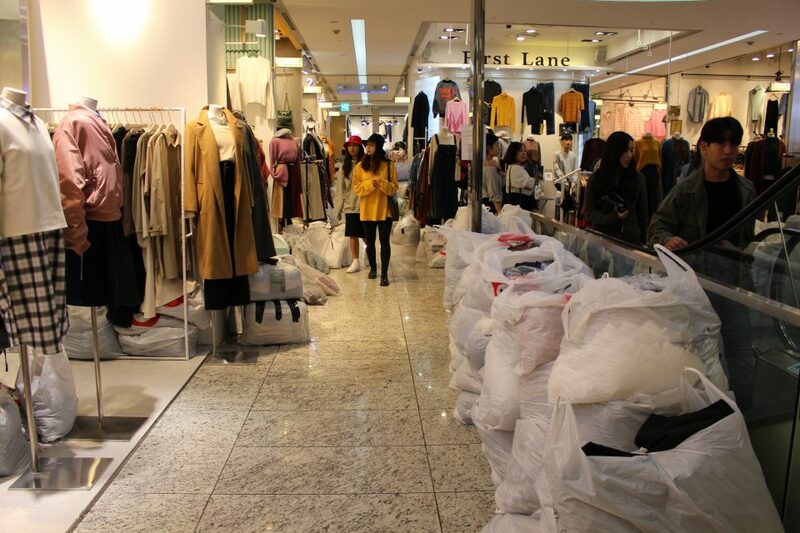 They unload the bags for the day, filling the hallways of this massive clothing outlet that opens at 8pm. 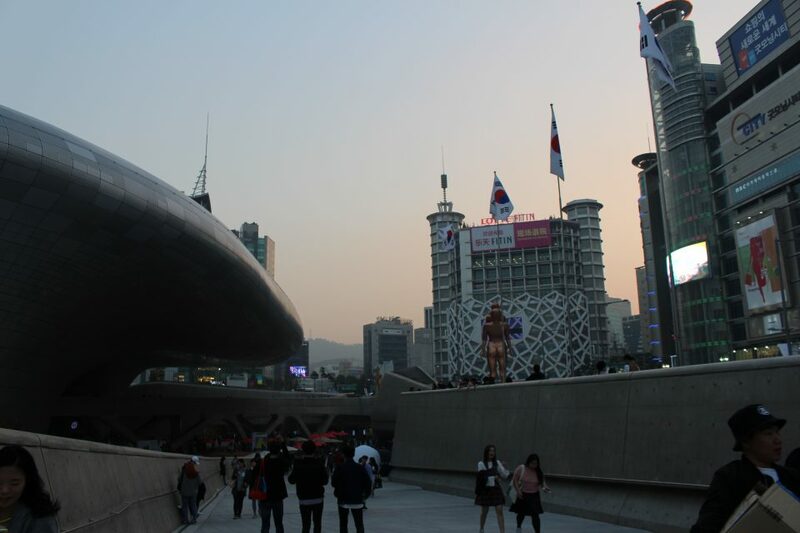 Outside, what appears to be a UFO is just a return to the fashion design center.